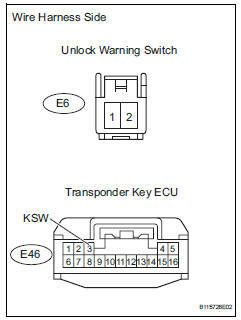 This dtc is output if the transponder key ecu does not detect that the unlock warning switch is on even when the ignition switch is on. 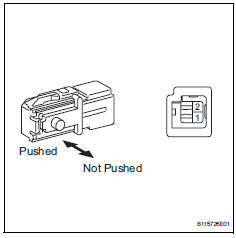 Under normal conditions, the unlock warning switch is on when the ignition switch is on. 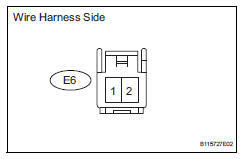 On the intelligent tester, enter the following menus: diagnosis / obd/mobd / immobiliser / data list / key sw. Read the result. Ok: on (key is in ignition key cylinder) appears on the screen. Remove the unlock warning switch. Disconnect the e6 switch connector.